Dr. Bannerjee recently moved to the Washington DC area from Northern California. He is originally from the DC area and grew up in Columbia, Maryland. He did his Podiatric medical training at Temple University in Philadelphia, Pennsylvania and his residency at Medstar Washington Hospital Center and Georgetown University Hospital in Washington, DC. 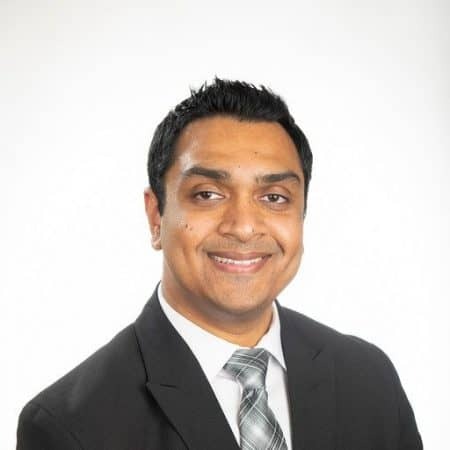 He previously worked as a foot and ankle surgeon, wound care specialist, and liaison director for podiatric surgery residents from Medstar Washington Hospital Center and Frederick Memorial Hospital. He is the father to a very energetic toddler and beautiful baby girl. In his spare time, Dr. Bannerjee enjoys going to parks, hiking, and exploring the new areas with his family.